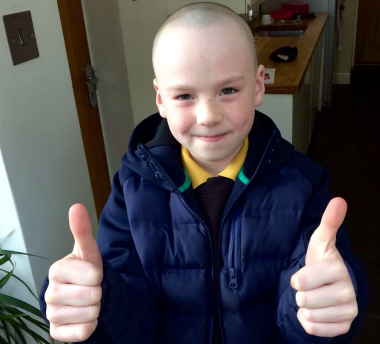 In February, Alfie, aged 10, had his hair shaved off at the Station Hair Salon in front of his friends and family. This was to support family friend Matt Hodgson who sadly passed away in January this year. Alfie decided off his own back, that he wanted to do something to raise money and support the cause and decided on shaving his hair. His original target was to raise £50. He had no idea how much support he would get from everyone including total strangers who felt moved to donate raising over £1,000. Thanks Alfie, we think you are very brave – well done.